The tall square vase has tapering sides and is supported on bracket feet. It is decorated with panels enclosing flower sprays, tree branches, and a lotus pond with birds in relief. 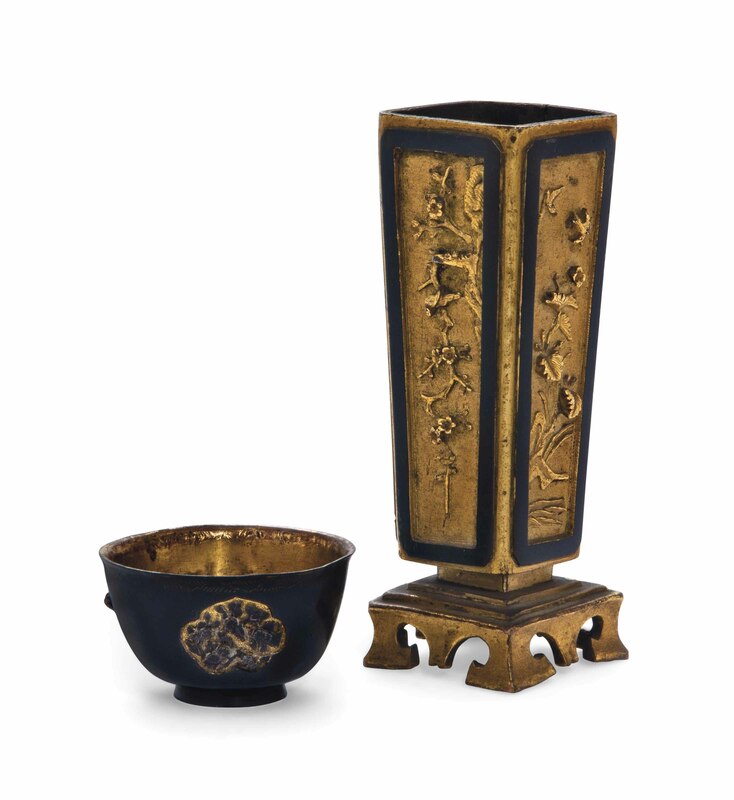 The cup is similarly decorated with foliate cartouches enclosing flowers and pine trees, bordered by a geometric band to the rim, the interior is gilt.